I was on vacation for a week. 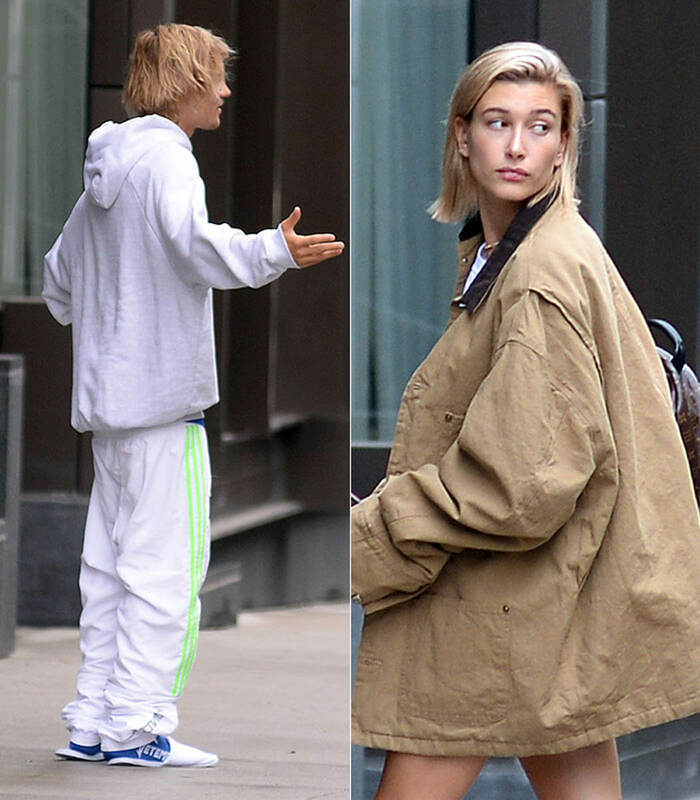 A week is all it took for Hailey Baldwin and Justin Bieber to go from distant exes to definitely f-cking, hand-holding and PDA-ing all over the streets. I came back to photos of Hailey and Justin making out like rabid teens. WHAT HAPPENED TO SHAWN? 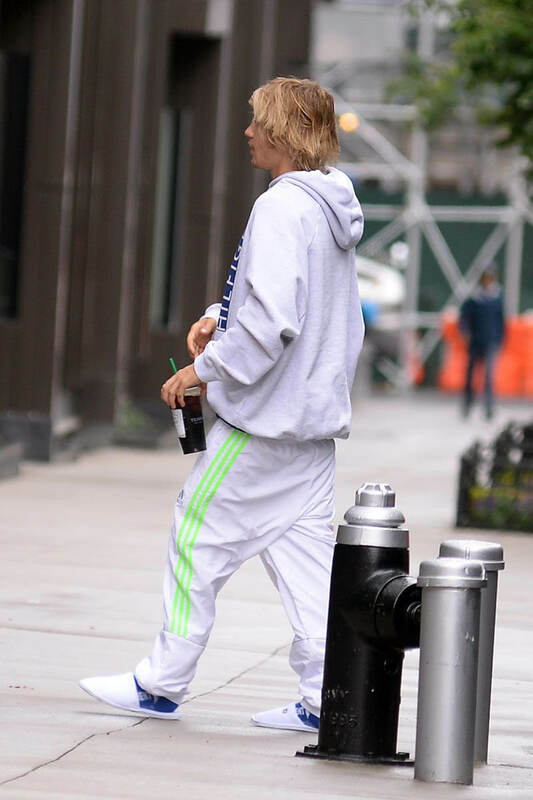 WHY IS JUSTIN DRESSED LIKE BUSY FROM READY OR NOT? This is all too much for me to handle on my first day back. I really didn’t want to see pics of shirtless Justin Bieber ever again but especially not before I’d even unpacked. Lainey wrote about Bieber and Baldwin’s intimate pool hangs five days ago. In that time, they’ve been gallivanting around New York, kissing on benches and bridges. Justin even went Instagram official… with Hailey’s legs. As you can see, Justin Bieber is also trying really hard to grow facial hair. That was Saturday. Yesterday, they were spotted holding hands leaving Cecconi’s in Brooklyn. So, they’re going from 0 to 100 real quick, as you do when you get back with an ex. You pick up right where you left off – the good and the bad. So far, it looks like Hailey and Justin are in the carve ‘JB + HB’ into a tree stage of their rebound. US Weekly reports that JB and HB have had a “weird thing” between them for years and that their reconciliation was inevitable. So, Shawn Mendes was just a pit-stop on her way back to the Biebs. But has she seen Justin’s latest style choices? Has she found out when the last time he washed his hair was? Does she remember that time Shawn fixed her dress at the Met like a goddamn Prince Charming? DOES SHE? Fine, maybe Hailey and Shawn were just “friends” or maybe Shawn’s getting ready to write his own My Dear Melancholy. Shawn and Abel have so much in common. They are both Canadians who dated women who went straight back to Justin Bieber. I hope they have a DM support chat where they just talk sh-t about Bieber’s hair. Do you think Justin is that ex who pops back into your life as soon as you seem happy with someone else? You know the type. Justin Bieber is TOTALLY that type.